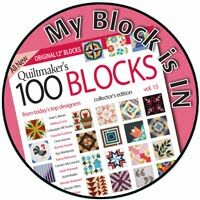 If you are just finding us, there is plenty of time to grab your pattern and fabric and join in. The center piece is easy, but I still planned on a two week time span to welcome anyone joining us late. There are two options for the center of The Border Quilt. 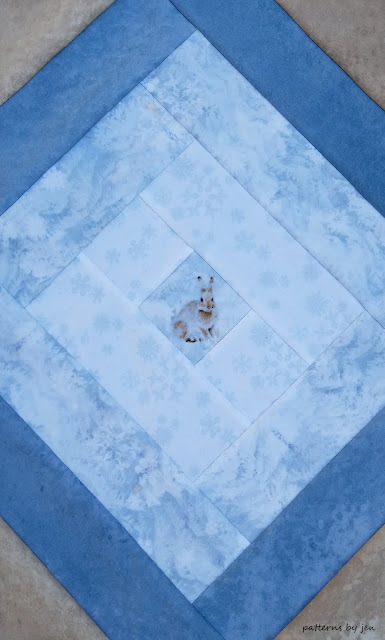 Center 1 is a pieced and then trimmed block. 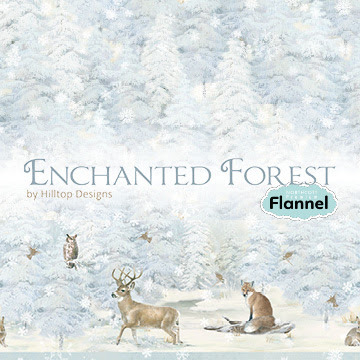 This is not the one I used in the Enchanted Forest version, but is the one in the original quilt that you see on the front of your pattern. Step 2 under Assembly should read 2) Add light 8" strips. The cutting instructions are correct! 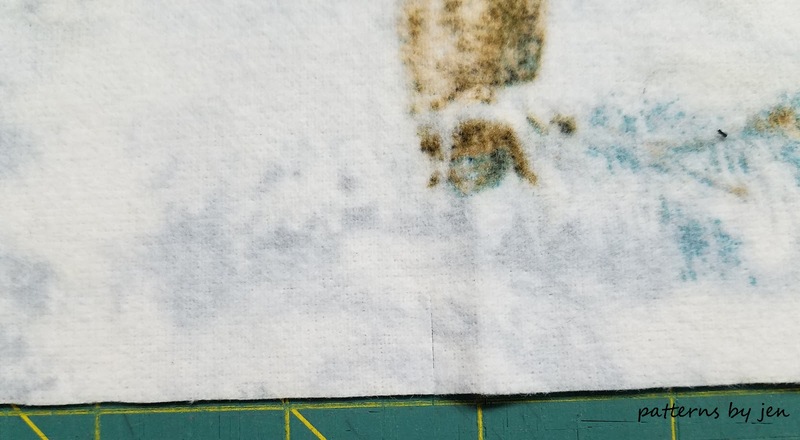 For my fussy cut center I found the middle of my piece and pressed. Because this center unit is on point I needed to trim it so the point was about the bunny. I used the pressed line to find the center before trimming. 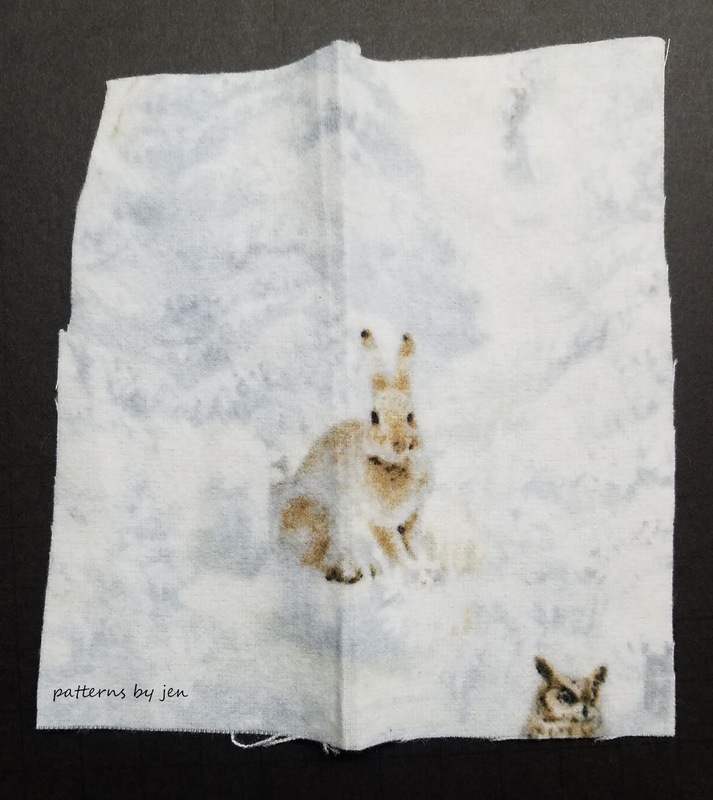 Following the instructions in the pattern sew each piece and press. I have found that by setting the seam and then finger pressing before pressing the seams to the side, I don't get a stretched and bowed seam when I use the iron. 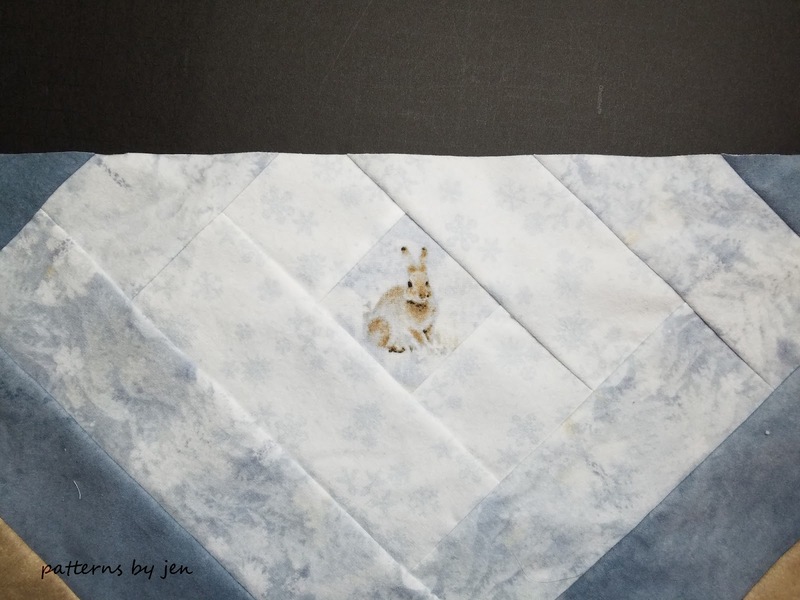 Flannel stretches very easily, if you are using it, make sure to just press, do not move your iron over and around your seams. Next we're going to trim this piece down to size. Follow the trimming instructions in the pattern. To trim the center piece I start with the top and bottom, this makes cutting the longer sides easier. 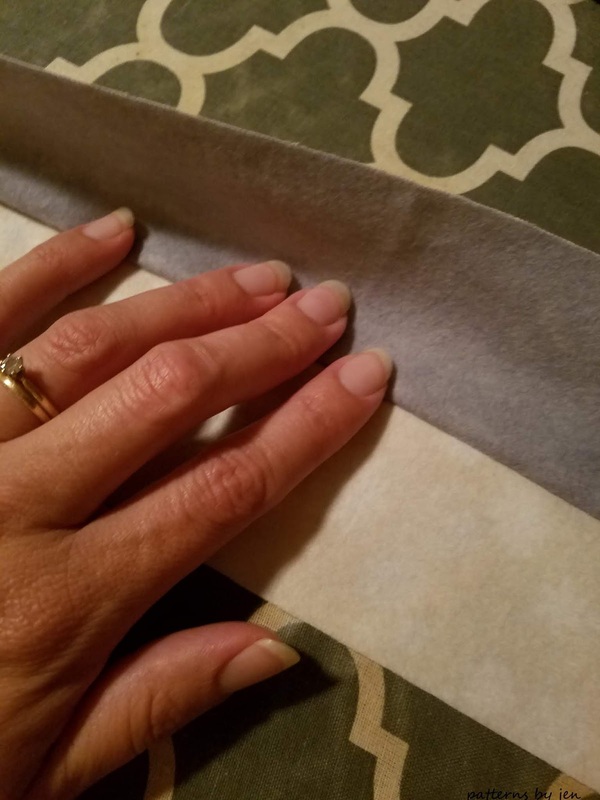 Lay your center on your cutting mat, lining the opposite points up on the same line on both sides of the mat. PS I did make sure to pull that right side down a bit, I just missed it in the photo. 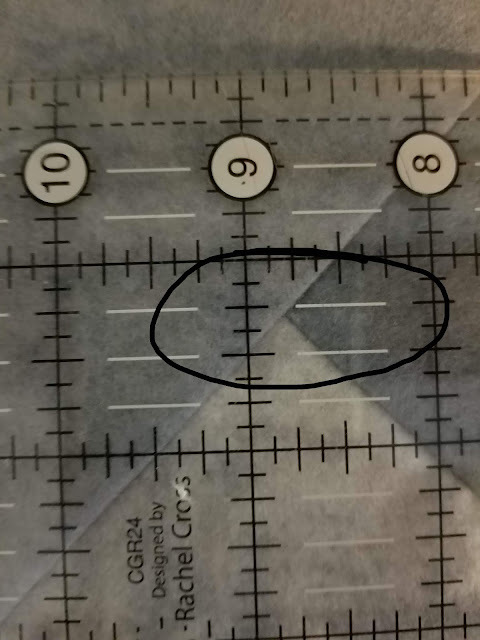 You will be trimming 1" from the point shown in your pattern. 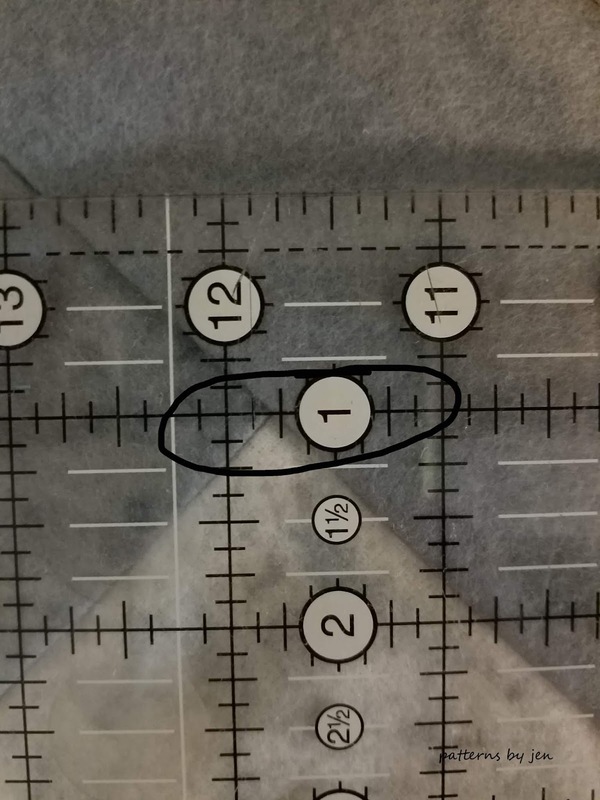 Put the one inch mark on that point. 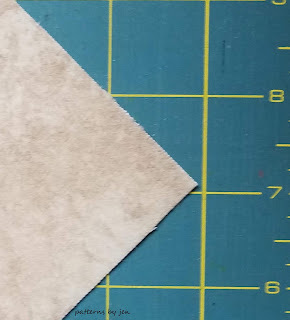 Then check on either side to line up your ruler for a nice straight cut. 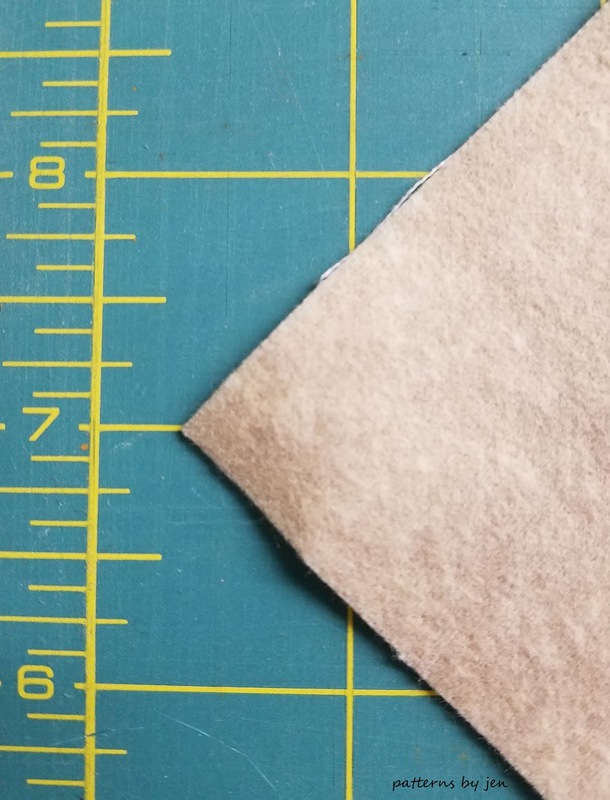 Repeat with your side trims, this time trimming 1 1/4" from the point in your pattern. Take your time, check your measurements twice and trim. 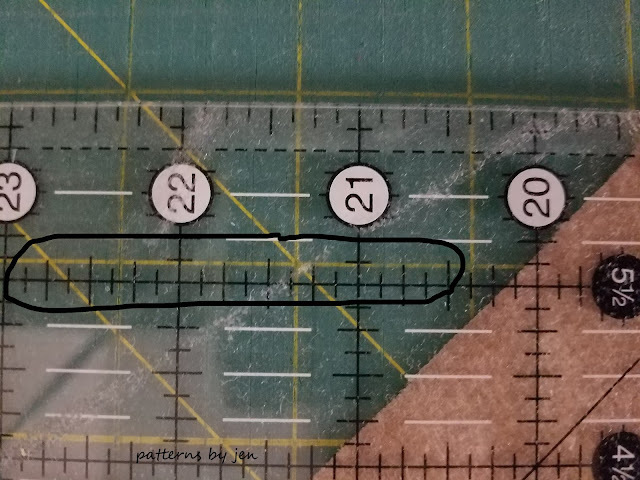 See picture at the very bottom of the post for WHY you must double check where your ruler is lined up. If you have questions on this don't hesitate to ask! Done! You are ready for the first borders September 26. 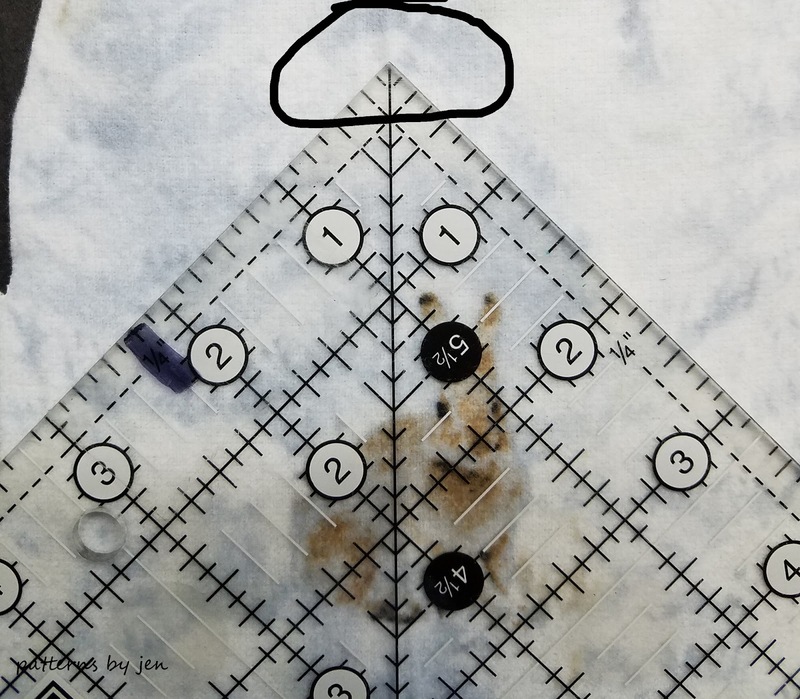 Center 2 is simply a rectangle. 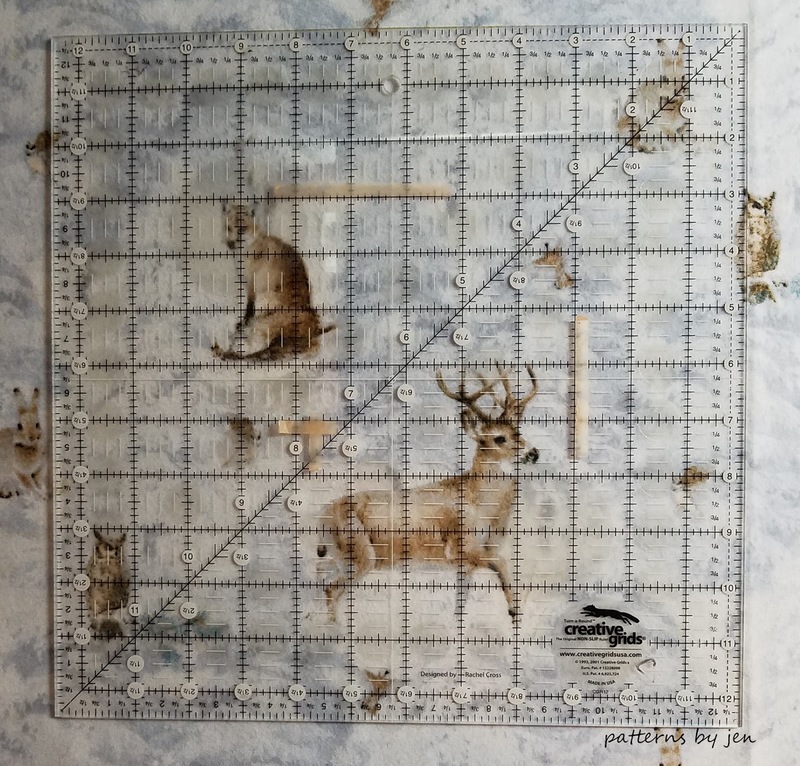 I chose to first make sure I centered the animals that I wanted in my center piece by using my ruler and making a small mark on either side at the desired width. 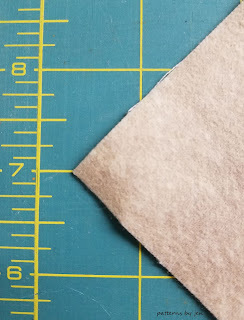 I like to fold in half and trim the long sides first, in this case where those marks for fussy cutting were made. Then making sure my edge is straight on the mat, I trim the short sides. Easy peasy. 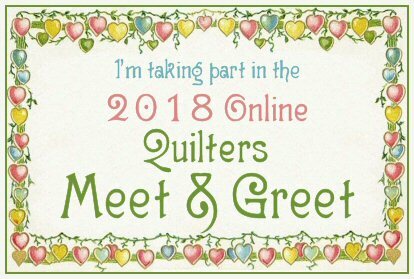 Remember you can ask questions and get help directly from me and your fellow quilt along pals by joining the Facebook group listed above. Don't be like Jen, check before trimming!!! 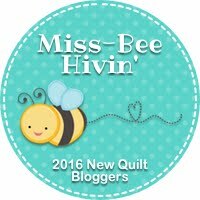 If you share your center piece on social media please tag Patterns By Jen and /or use #theborderquiltquiltalong. I can't wait to see your pieces!! !